We are pleased to be one of the few clinics in the province of Ontario administering Bellafill dermal filler injections to our clients. The product is sold by the kit, which contains 5, 0.8CC syringes. 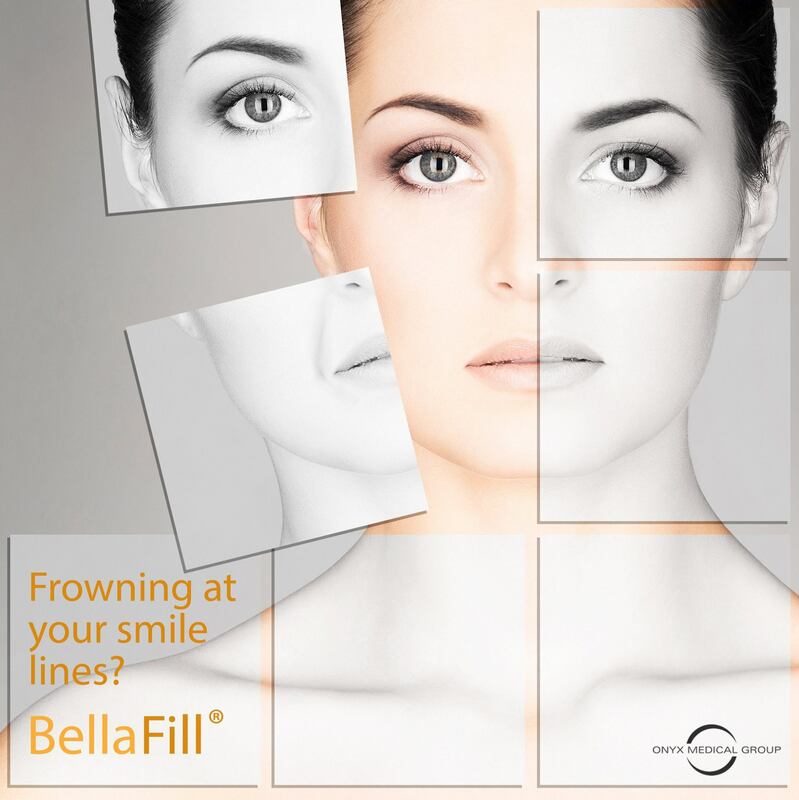 Bellafill is a semi-permanent dermal filler that has been Health Canada approved since 2011. Bellafill not only provides a lifting effect, but also has restorative properties. Bellafill is a polymethylmethacrylate (PMMA) collagen filler. Unlike traditional Hyaluronic dermal fillers, Bellafill is comprised of PMMA microspheres suspended in collagen. Upon injection, the collagen adds immediate volume to the skin to lift and reduce wrinkles, while the PMMA microspheres create a matrix that supports your own body’s collagen production. The injectable gel is comprised of 80% puriﬁed collagen and 20% PMMA (polymethylmethacrylate) microspheres. The microspheres are half the diameter of a human hair, so small that they are virtually invisible to the eye. All consultations at Onyx Medical Aesthetics are complimentary and completed by Dr. Michael Kam personally. To learn more about Bellafill and see if the product could benefit your aesthetic goals, please submit a Contact request form. For regular updates on Cosmetic Medicine news, treatments, and Laser Tattoo Removal, please connect with us on Facebook, LinkedIn, and Twitter.